Meet Toby Sinatra! He is only 7 years old but he’s been looking for a good home for over 1.5 years already. Toby’s personality is described as “moody” — but aren’t we all sometimes?? 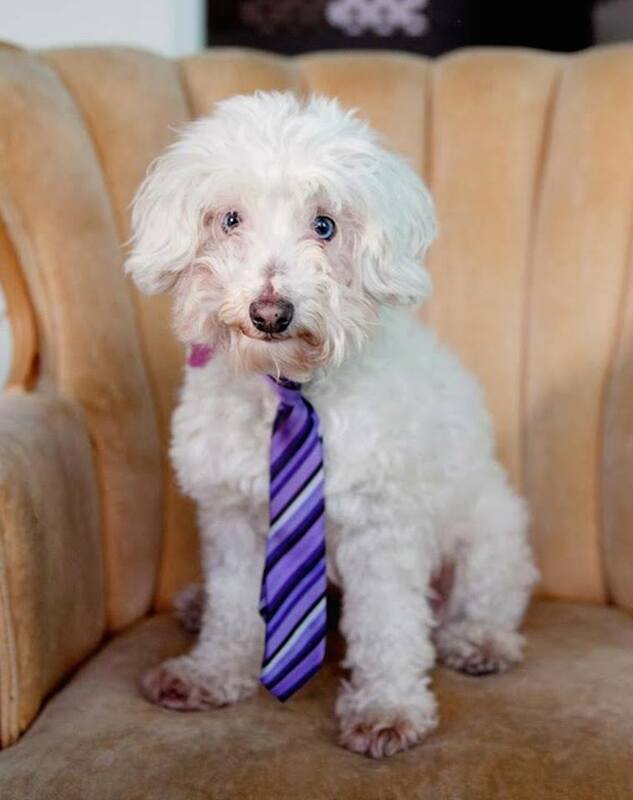 Toby’s rescue also says that “he is perfect for those who would benefit from a hypoallergenic dog or just a new best friend.” Please share! Family Dog Rescue wrote, “Toby came to us April 2014 as an owner surrender. He’s 7 years old and 15 pounds of love with a beautiful Poodle personality. Toby has the most unique, beautiful, blue eyes that look at you with heartfelt devotion. Not only is Toby ready to be devoted to you but he loves cuddles, treats and being cute, I mean c’mon how cute is this guy?! Although Toby is deaf you would never guess it. He always knows when someone is coming to see him and gets very excited! Toby suffers from separation anxiety, and is currently on Prozac to help him cope with the stress of being alone. A work-from-home parent or someone able to take him to work would make Toby very happy! He gets along with some dogs, but not all because he tends to guard people as resources due to his separation anxiety. He most likely would prefer to be the only dog in the home. He is good with almost all people, but when children play with him and are unaware of a dogs boundaries (which is not the child’s fault of course) that can cause his behavior to change because he feels uncomfortable. Toby can act out when he is afraid or stressed out, so a home with an experienced adopter would be ideal. He is really just a sensitive dog and would do best in a household with children over 10. Toby looks like a wonderful dog and one someone would be luck to have. I crosspost tons on FB aand aam always amaazed at the beauties there. Heres hoping he finds a forever homee soon! What a dapper dog! 🙂 I love his name! I hope he finds a great home very soon!